My oldest daughter has cerebral palsy due to a Cytomegalovirus infection while my wife was expecting. We had a bicycle trailer that we bought from a thrift store when the children were younger. After they all grew out of it and learned to ride bikes, we had it stored in the garage for several years. 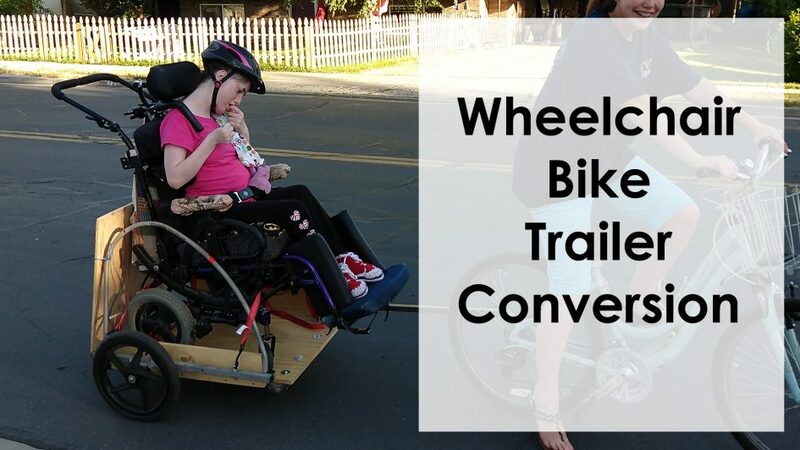 Recently, we decided that we would like to ride bikes as a family, and that it would be difficult due to the wheelchair, and “special needs” trailers started around $1000. I decided to see if I could upgrade our existing trailer instead. So, for around $75, I was able to secure the parts necessary for the conversion. You can see the process below. While I realize this may not work for everyone, it should at least give people some ideas to make their own. Do so at your own risk, I feel this is acceptable for my situation, but we won’t be going off road or fast just in case.